Loch Droma has a number of partially submerged tree roots located around its edges. 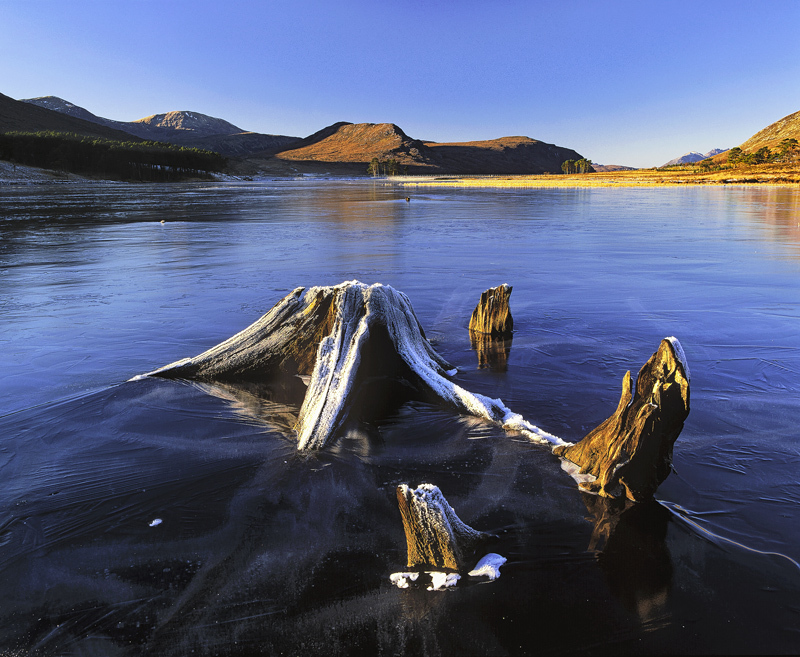 When the water is low they become visible and on rare occasions during the winter the lofty plateau upon which Loch droma is located freezes solid and enables you to get that little bit closer to create an unearthly even, alien foreground. On this exceptionally clear January day the temperature remained steadfastly below minus ten degrees celcius and I was able to access just about anywhere I chose to go on the loch. My tripod being my unwieldy three legged skating partner in a bizarre ice ballet.